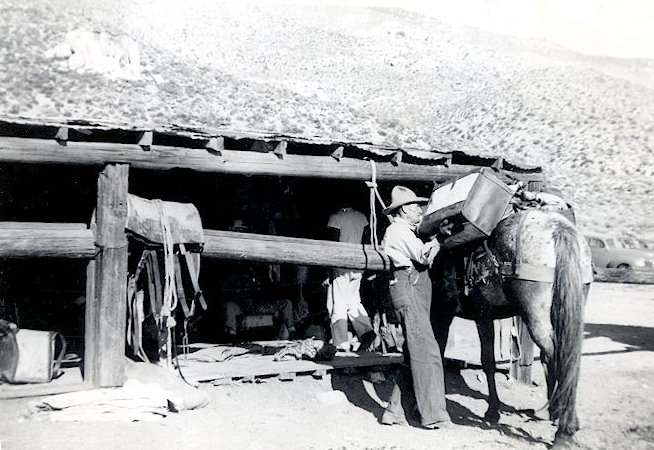 You will love this heartwarming story about a teenage girl and her adventures packing with John Slaughter at the Sierra Lady Pack Station located at the mouth of Haiwee Canyon were the Sam Lewis Pack Station operated for over 50 years. Her encounters with rattlesnakes, bears, mountain lions and reckless hunters will keep you enthralled. The winter she spent at the pack station with no one for company other than the pack station stock would put most teenagers to shame today who are content to be preoccupied with senseless electronic social media. The challenges she was forced to overcome as a teenager in that situation were both harrowing and maturing. Well done Roni! As I read Roni's story, I couldn't help but get excited at the spiritual experiences the Spirit of God opened up to her. We should all be so blessed. 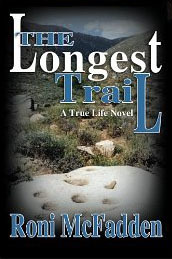 Now you can be, by heading up "The Longest Trail" with Roni. Click on the book cover to the left to order the book on amazon.com. Photos and story line text are courtesy of Roni McFadden unless otherwise noted. Background photo courtesy Bob Rockwell. Bob's Flickr Photostream. After what seemed and eternity, we finally arrived at our destination close to midnight. 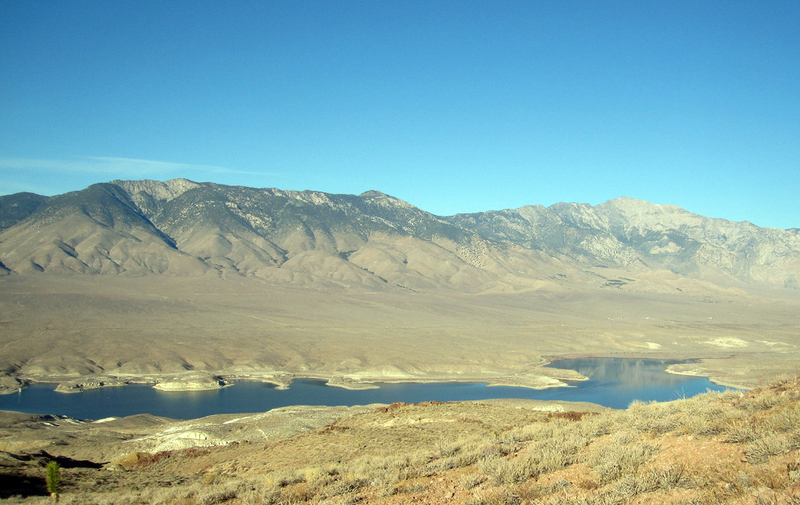 We we turned off of Highway 395, my heart skipped a beat in its excitement to see where we were going. 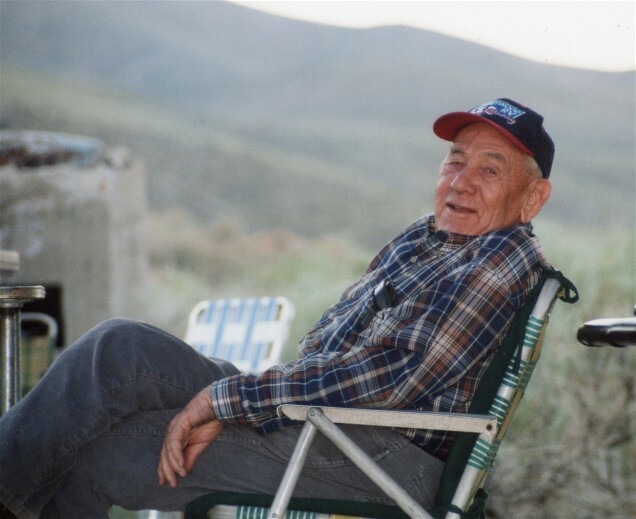 There was a sign at the beginning of that dirt road that said, "Sam Lewis Pack Station." Oh my, we were really there! About a year of so after my first trip, the lease [on the John Lewis property] became available and John [Slaughter] leased it. 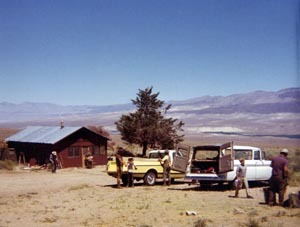 We then renamed it the Sierra Lady Pack Station. 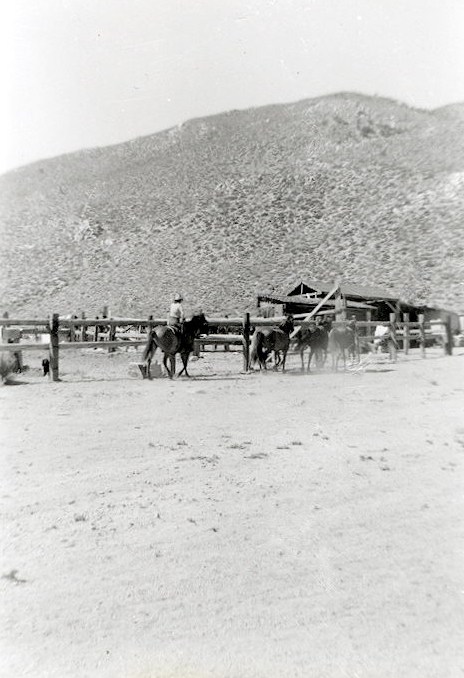 The pack station sat right at the mouth of Haiwee Canyon about 90 miles south of Bishop. 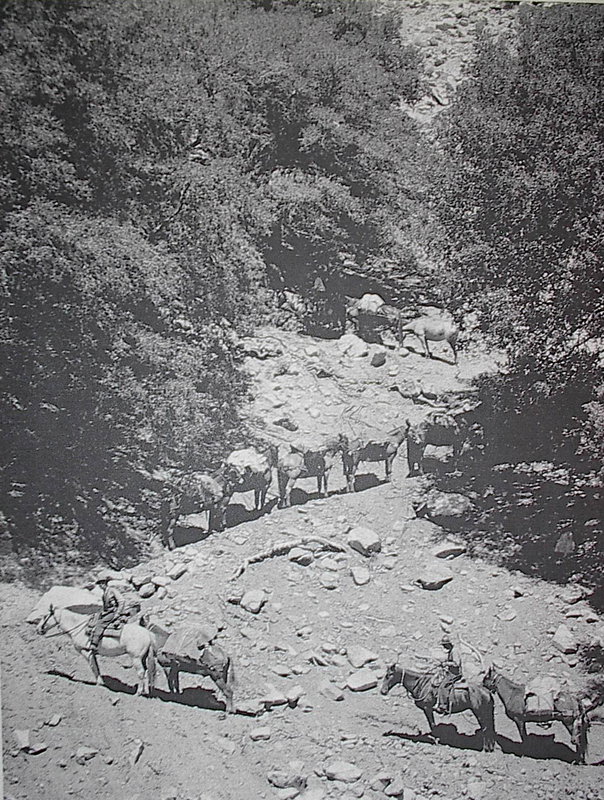 The trail wound its way along the canyon floor, crossed the stream many times. After a few miles it then started to climb. It soon became very steep, narrow, full of switchbacks and loose, unstable, rocky shale. Then, it climbed higher still into fir trees, thin air, and unspeakable beauty. 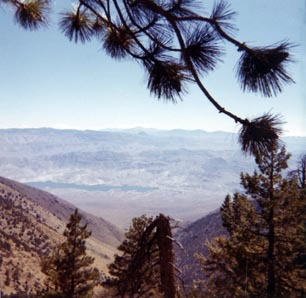 At the summit, you can look down on the desert and see the reservoir across the highway. On the other side of the summit, it flattens out onto gently rolling mountaintops before reaching the canyon through which the South Fork of the Kern River flows. A few more switchbacks down the cliff face to the river, and there we were, at our campsite by the river. 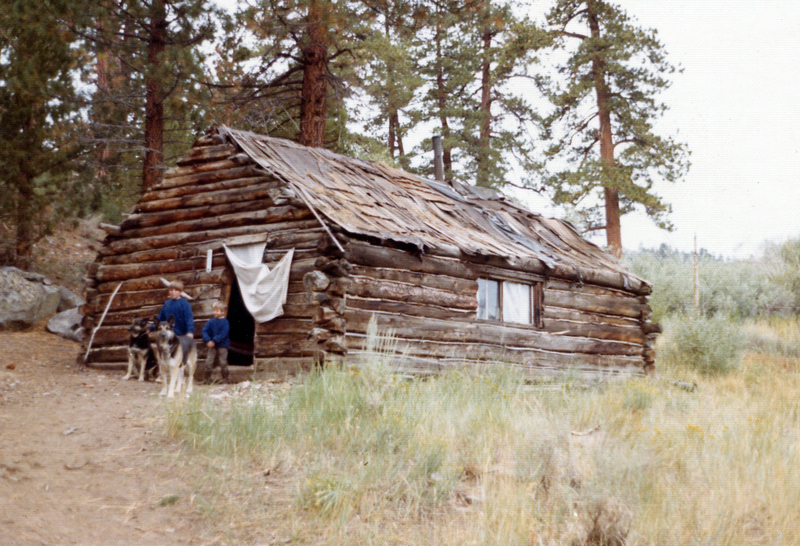 After John leased the pack station, we would cross the river and go another mile or so to the log cabins that were built in the early 1900s. I was sixteen when John left me alone at the pack station for the first time. As I reached for the last box on the very top shelf, the dust rolled off the lid of the old shoebox and nearly suffocated me. I coughed and sneezed and went to the sink to wash it off. I grabbed a rag, and went back to wipe the box clean. When I raised the lid, inside was an old leather-bound book and several pictures. Thee were also old letters and a ledger book. Carefully I lifted the book out. I opened it an found to my surprise that it was a journal of some kind. I slowly opened the cover I saw it belonged to Sam Lewis, the very man whose name had been on the old sign at the highway. "Wow! How could it be that this wasn't discovered long ago?" I said out loud. Looking at the pictures, I recognized many of them as the same places I had come to love. Only these were in black and white and from what appeared to be the 1920s and '30s. 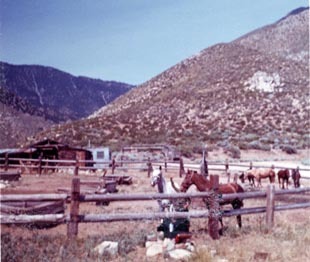 There were pictures of Sam and his horses strung out along the trail to the summit, pictures of Sam and his children standing in front of the cabin at Dutch John Flat, pictures of the cabin on Deer Mountain, of hunters with their kills, of Sam's homestead and him riding across the desert, of Sam and his horses standing in the river at the very same crossing we used. Timeless pictures of the man who built this place. "I was born July 31, 1893 in Galesburg, Illinois, to Charles William Lewis and Estella Turner Lewis. 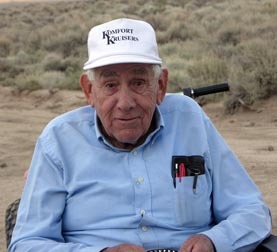 My father worked for the Santa Fe Railroad and we followed it to New Mexico when I was two years old. We lived in the town of Eddy, which was renamed Carlsbad in 1899. 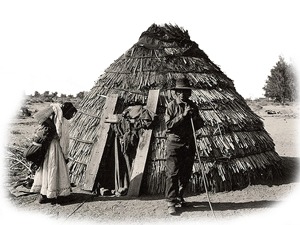 It was a primitive life with no electricity, no telephones, and no running water. A water tank wagon came around and sold water by the bucket. 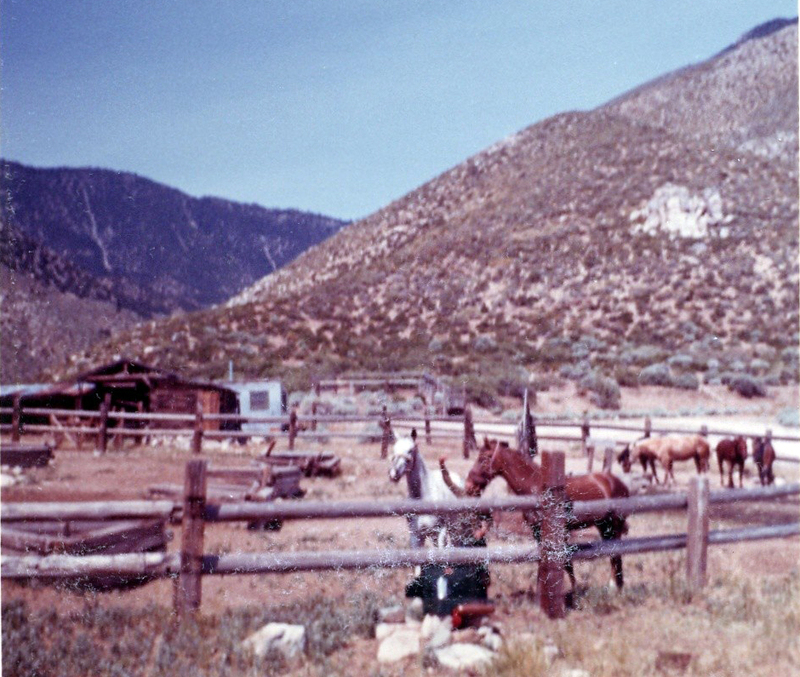 Livestock grazed the open range and everyone fenced their gardens to keep the animals out. 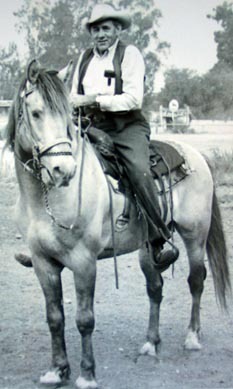 When I was five years old I started school and rode my horse two miles. My teacher had to help me on to ride home. I don't ever remember falling off. Both my brother, Charles, and my sister, Isabel, were born in Carlsbad. 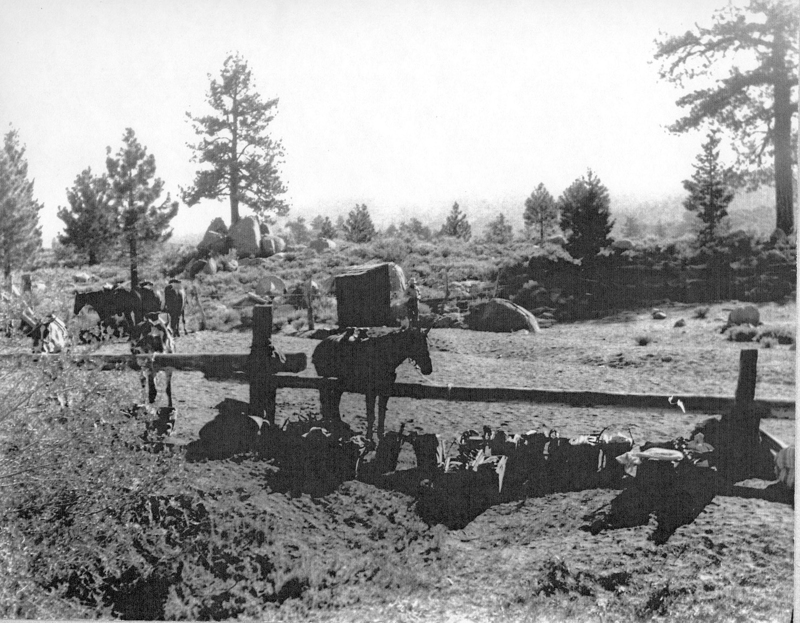 My father worked many jobs after the railroad was done. One of them was Deputy Sheriff. It was a pretty rough place with saloons and gambling. Fights and shootings were common. He quit after my mother nearly had a nervous breakdown. I started working various jobs when I was a young teen. 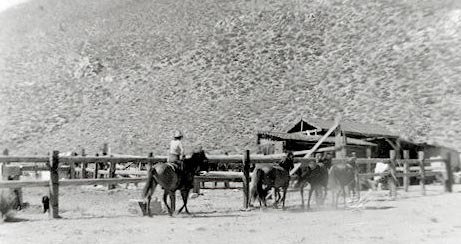 Anything from tending sheep to hauling goods by wagon to helping my dad run the power house to working in a sawmill. 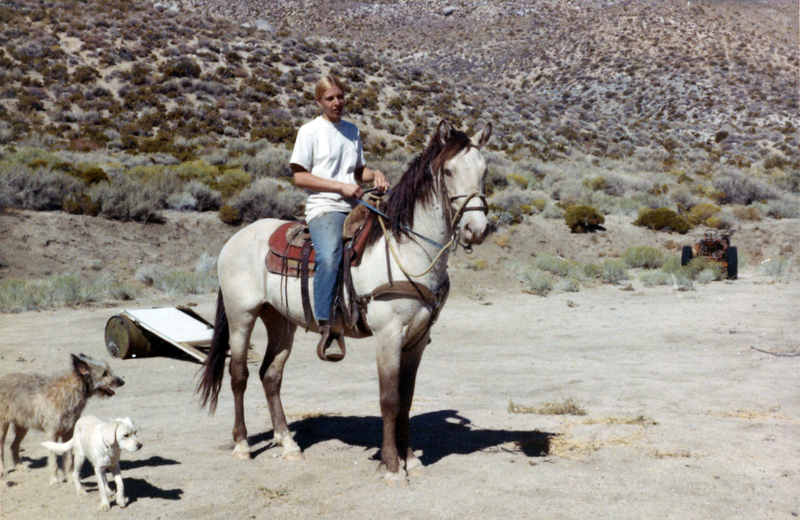 Then Dad decided to go to California to work in the oil fields, and I went too. The work was hard and the days were long. I had dreams of finding a place of my own in the mountains to homestead. 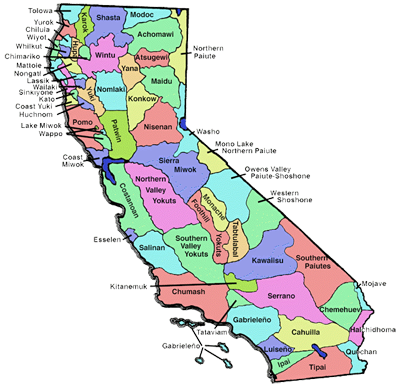 Southern California had way to many people to suit me, and it offered me no chance to get the home I dreamed of. 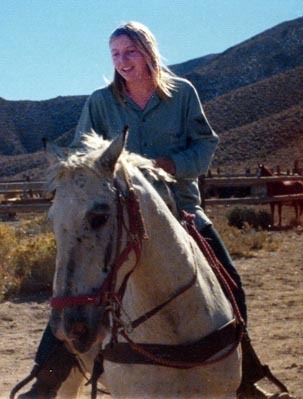 So I quit, bought me a couple of horses - one to ride and the other to pack my bed - and headed north to get away from the crowded conditions of the Los Angeles area. That was July 1914." 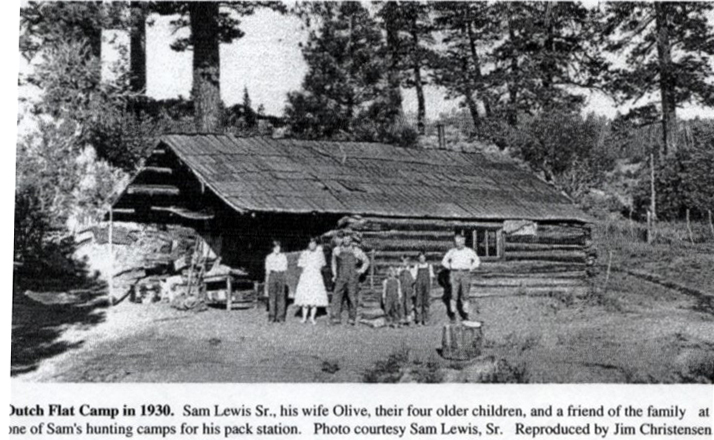 Sam Lewis and Sam Lewis Jr.
Dutch John Flat Camp in 1930 - Sam Lewis Sr. with his wife Olive and their four children at one of his pack station hunting camps in the Sierra Nevada. 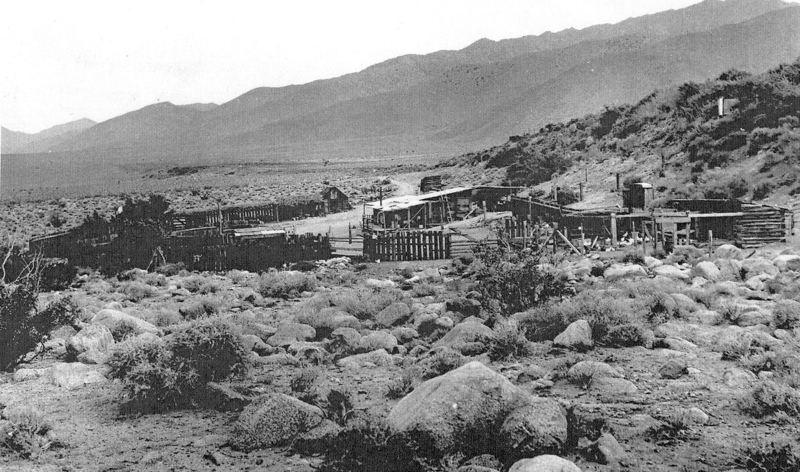 "I followed the road here to Owens Valley where they were building the Los Angeles Aqueduct to bring water to that thirsty city. I knew nothing about the country I was going into. 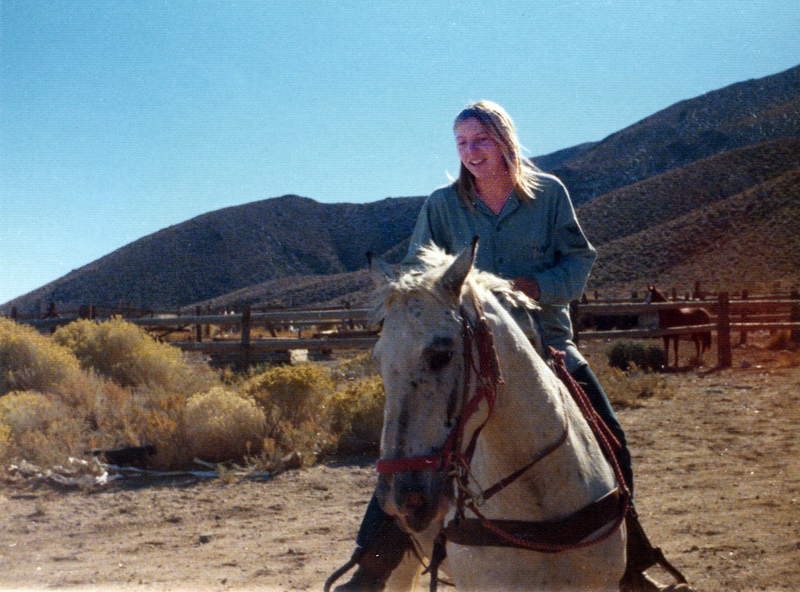 When I got to Little Lake in Inyo County, I ran into a man who gave me a job breaking horses. Then, after a few more odd jobs, I took a job working for John Calloway, a cattleman whose ranch was on the east side of the valley where China Lake Naval Ordinance Base is now. I liked Rose Spring Valley. There was a place against the Sierra Nevada Mountains where a small spring came out and formed a meadow that looked good to me. It was held by an old man who, I felt sure, would give up before long. I offered to buy his relinquishment, and he took me up on the offer. Then I realized what I had done. I had no money and no idea how I could make any. So I borrowed some. enough to fence my place and by some cows, and I put up a tent until I could build a home. That was in 1916 and we were headed for war. So I joined the Navy. Well, after the war I cam back to the 'High Lonesome,' that's what I call my place, and that's what I was, lonesome! 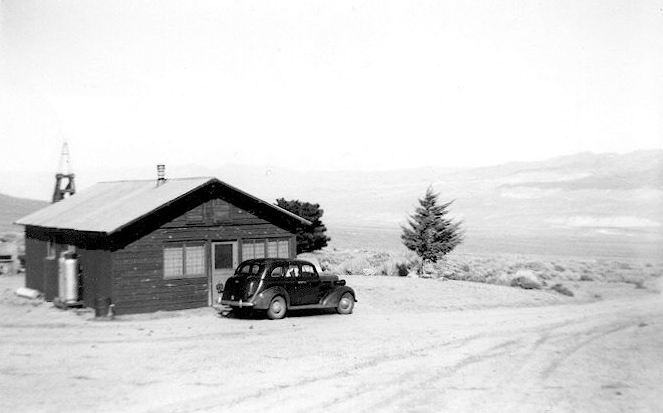 So I married a gal name Olive Truax on December 22, 1918, and we took up life on the homestead. 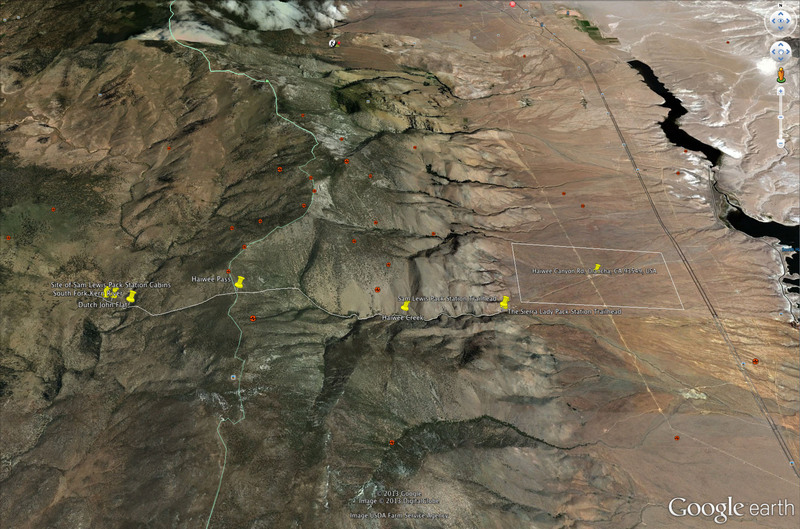 I used to take off from the High Lonesome and head up into the mountains to what is now called Kennedy Meadows. I would drop groups of people all over these mountains. 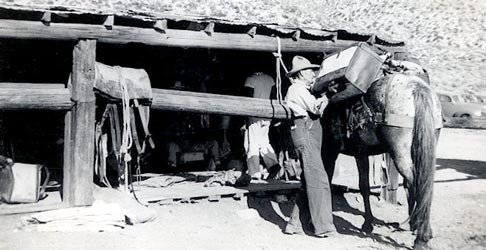 Then I got hold of the land at Haiwee Canyon and built the pack station. 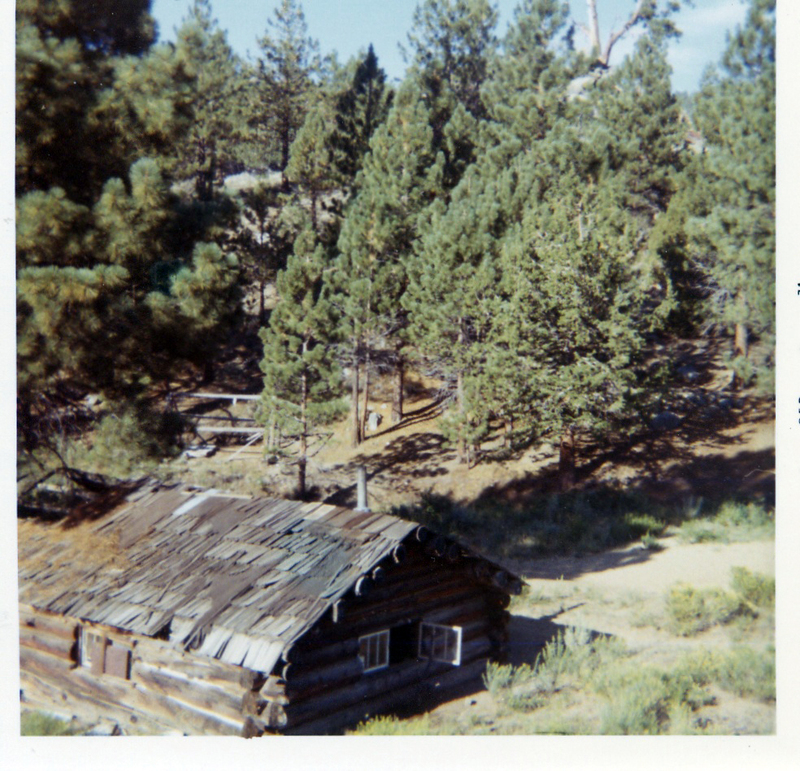 I built some of these cabins up her in the high country too. My wife and I had six children. Lucille was born in 1920; Estella in 1921; Sam Jr. in 1924; Helen in 1926; Richard in 1933; and Barbara in 1935. All were perfect, healthy, and beautiful, and each was worth their weight in gold. They all helped me with the packing business. 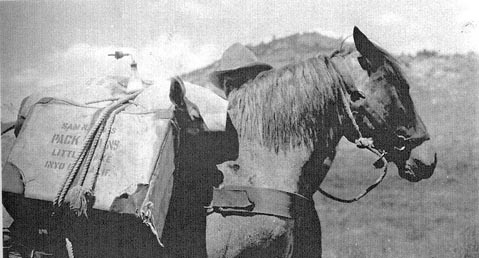 Olive cooked all the meals that would be needed in the high country. 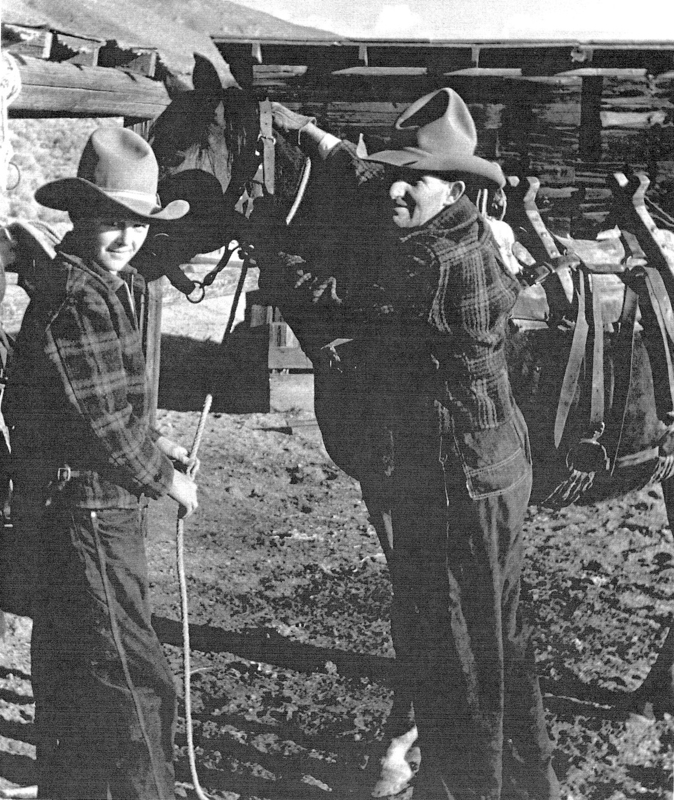 The kids, as they go old enough, would help with the horses. If they were still too young to ride, I would ut them in a pack box and they would ride in that way. They sometimes stayed in the mountains all summer. They were such a big help to me. 'Yes, I s'pose that's true,' he answers. 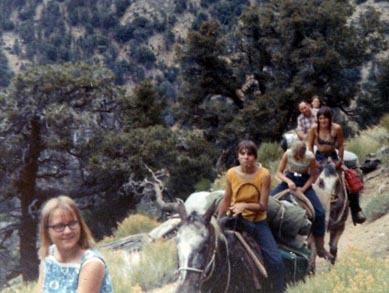 'Fer instance, I didn't string my pack animals all out behind me on the trail. I trained them to drive ahead of me up the trail. That way there were no stragglers and I had everyone in front of me so I could see 'em! 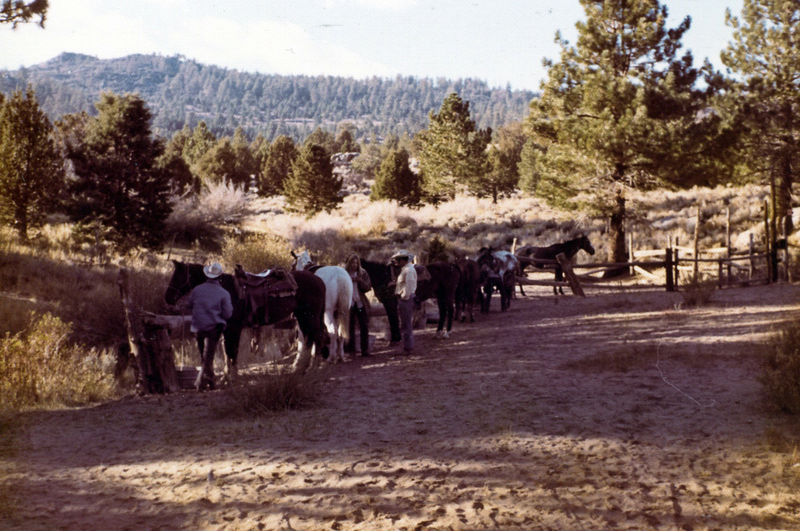 They got so used to this way of going that once they were packed and the gate was open, they took off up the trail. My horses loved their jobs and loved to be up in the high country. My memories are full of all the fine people I packed into these mountains. People from all walks of life. Professional people, teachers, lawyers, doctors, politicians. People who wee successful and not out to haggle over costs, who wanted to enjoy this beautiful country. I had parties of people all over these mountains. Some seasons I packed in over one hundred and fifty people. 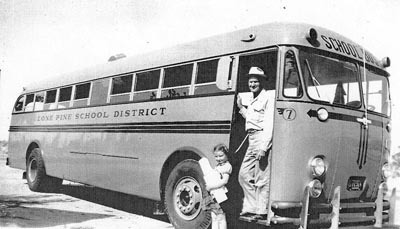 In my fifty-five years of packing, many people came back year after year for twenty-five or thirty years. And I always tried to leave things as natural as possible. I respected those who lived here before me. Sad to think it is all over. Those were such good times I had. The wonderful people I met. The adventures. All of it better than I ever dreamed all those years ago when I left Los Angeles looking for a simpler life. But it is time to turn it over now. I'm getting too old to keep doing this. My body has been punished enough. It is time for me to move on." Sam Lewis's ranch "The High Lonesome"
"I'm not completely sure how it happened. One minute we were walking in rhythm and the next I was flat on my backside in the middle of the trail. 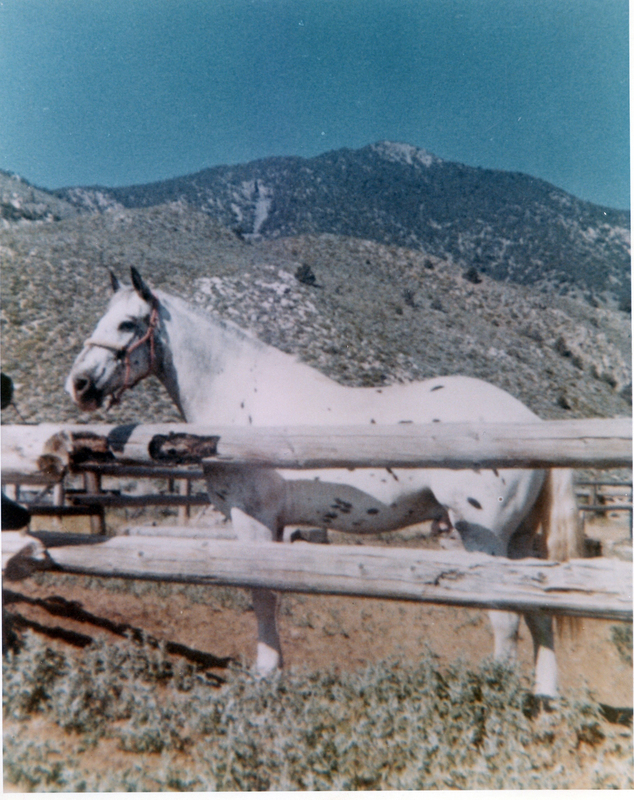 The lead rope that had been looped over my shoulder had pulled me down as my brave steed had come to an abrupt stop. Stunned, I looked over my shoulder to see what the problem was. All I saw were two huge eyes, shining like silver dollars with a look of terror in them. What happened next was inexplicable. As I stared t the cat and the cat stared back, there was movement of air, almost a swirling motion that passed between us. Watching the small vortex continue off the trail for a few yards it seemed to turn into the shadow of a man on an Indian pony. 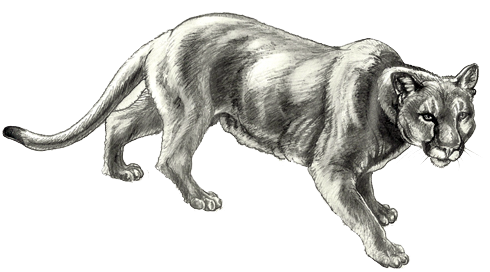 When I glanced back towards the lion, it was gone. I heard it crashing through the brush on the opposite side of the trail running from whatever it was that had come between us. I was still sitting there when I remembered my horse. I found him frozen in his tracks. What had just happened? Was it a dream? As I slowly rose and brushed off my jeans, Brownie came to life, snorting and acting the fool as usual. Things were back to normal. We stood in the middle of that dusty trail, looking off in both directions. 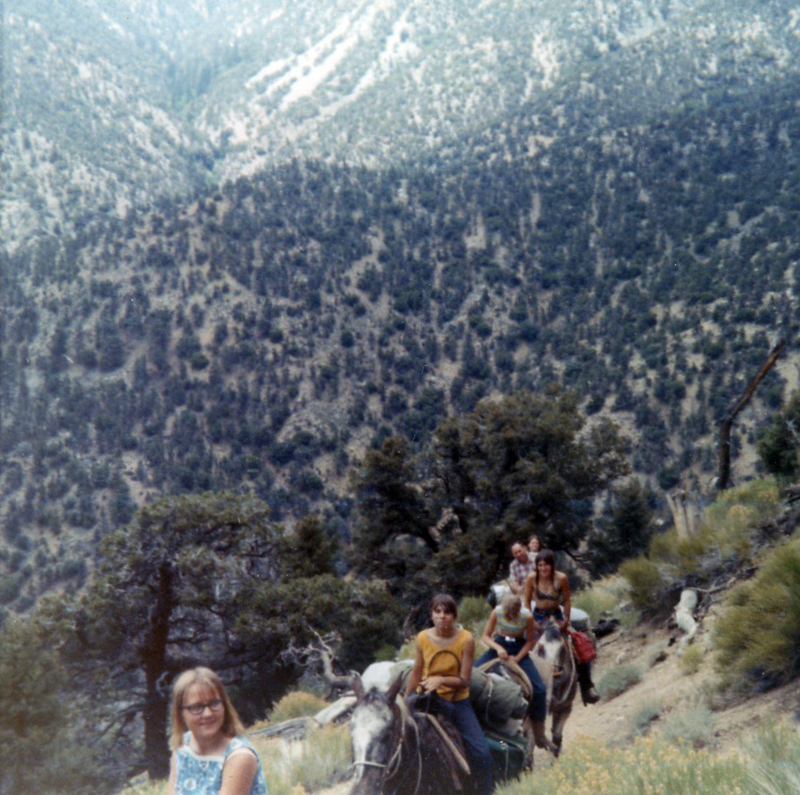 There was nothing on top of that mountain but me and my chicken horse. But there was something that filled my senses. Something ancient. Something that made me feel I belonged on that trail. 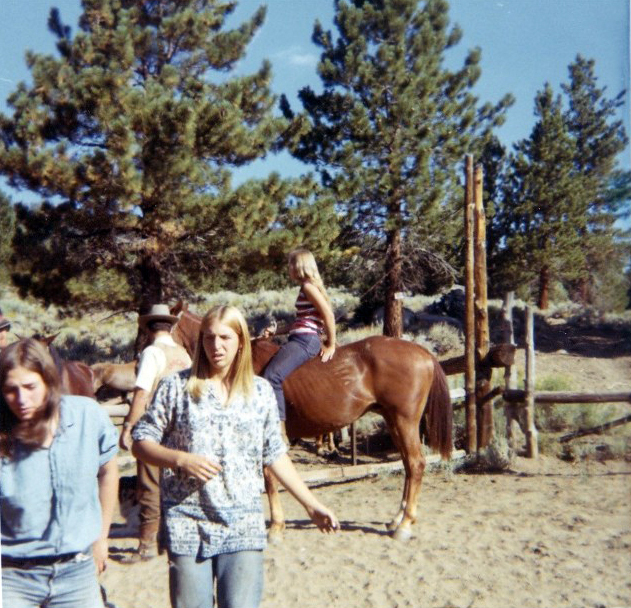 That we were accepted and welcomed into a sacred world that few people had encountered in that rugged high country. There had always been stories floating around about ghosts and spirits in the Sierras. On this night, I believe I met one. And he protected me from that mountain lion." 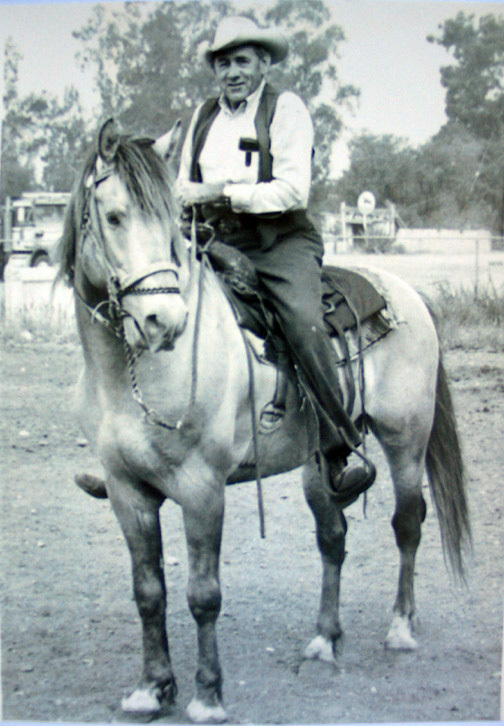 "Poncho was standing with his head hanging almost to the ground. Alarm bells sounded in my head. I crawled under the fence rail and ran over to him. His nose was swollen grotesquely and he was drooling. On the tip of his nose I saw two perfect little puncture marks. 'Oh great. This is just perfect!' I was angry, but had no one to yell at. 'Poncho fella, you're gonna be okay,' I told him, sure that I was lying. 'What do I do?' I yelled to the quiet desert? Once again there was no one [to] answer me. I was stuck, all alone, with a horse emergency and no one to help. I said a silent prayer to the Grandfathers. They hadn't let me down so far. I stroked his face and could feel the swelling getting worse under my hand. I said another prayer and sent it up to the ancestors. Poncho's breathing brought me back to the reality of the situation. He was now taking deep wheezing breaths. As I held his head in my arms, he struggled more and more to breathe. Then I remembered. 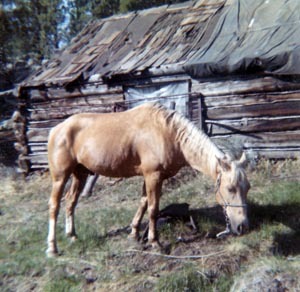 Horses couldn't breathe through their mouths. It was physically impossible for them to do so. Suddenly, he fell to the ground still struggling for breath through nostrils that were almost swollen shut. I had to do something. I wasn't sure what, but I couldn't just stand thee and watch him die. All at once an idea came to me. Running to the tack room, I searched for the piece of rubber hose that John sometimes used to siphon gas from one vehicle to the other. I spotted it, got out my knife, cut a short piece about six inches long, and ran back out to the nearly unconscious horse. I jammed the piece of hose up one nostril as far as it would go. As he struggled to breathe, suddenly a whoosh of air moved into his lungs. And another. And yet another. Long, deep breaths. A minute or two passed and my thudding heart started to slow down a little. His eyes opened and he abruptly sat up on his chest and snorted through the hose. I could hear the movement of air as he took in each breath and exhaled. His strength was returning and, after another few minutes, he stood up. A little shaky at first, but soon, he was standing normally. The hose stayed in place because of the swelling. I would have to figure out a way to keep it there. By that time, the other nostril was swollen completely shut. He was only breathing through the piece of hose. He would have been dead if that hose had not been in the tack room. " 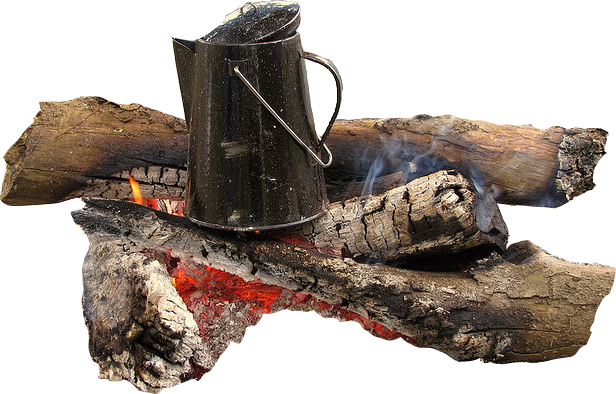 "He [Sheriff Wright] grabbed the coffee pot, filled it, put the grounds in, and set it on the stove to percolate. 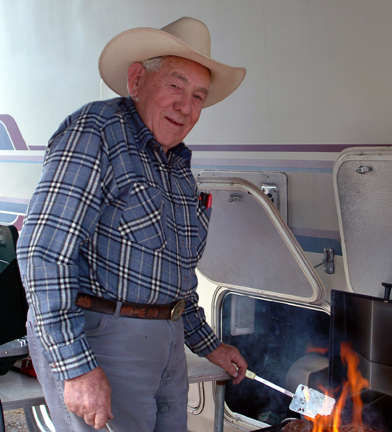 Nothing smelled better than cowboy coffee." 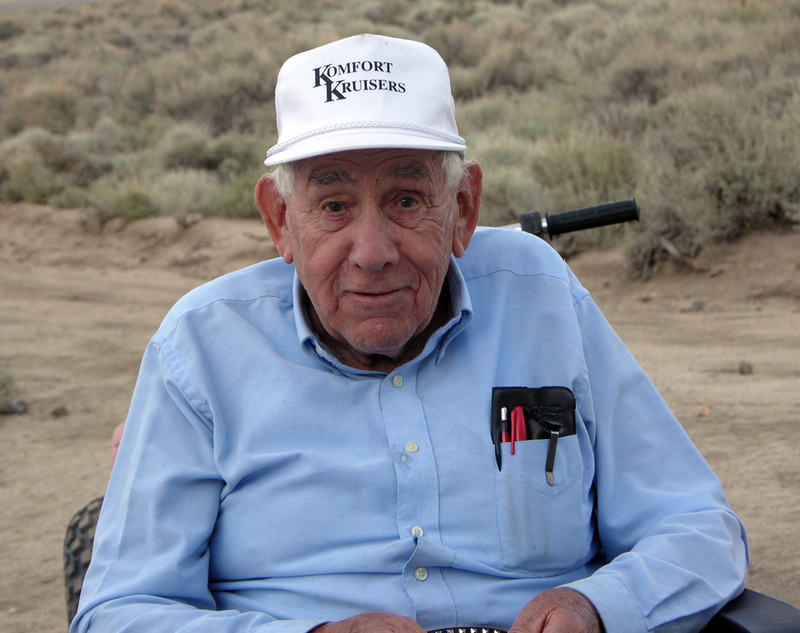 "Did you know that Inyo County is the second largest county in the country? 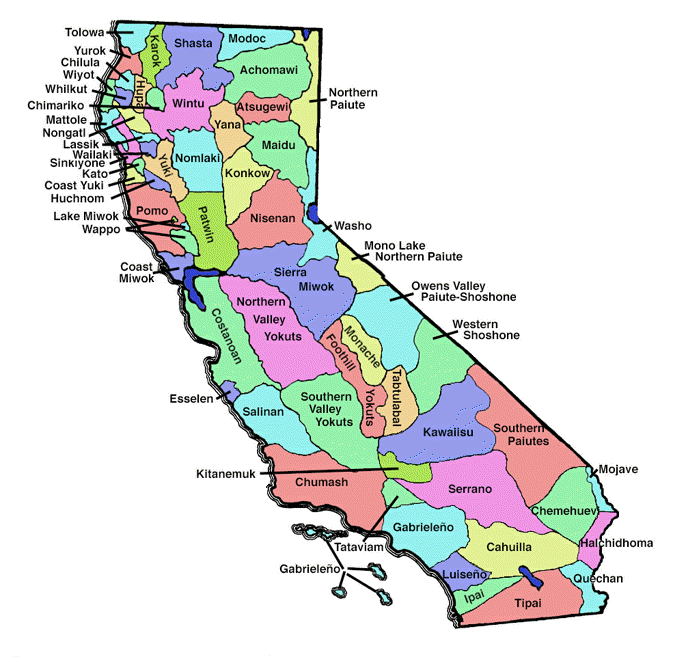 It's so big that several eastern states would fit right inside it. 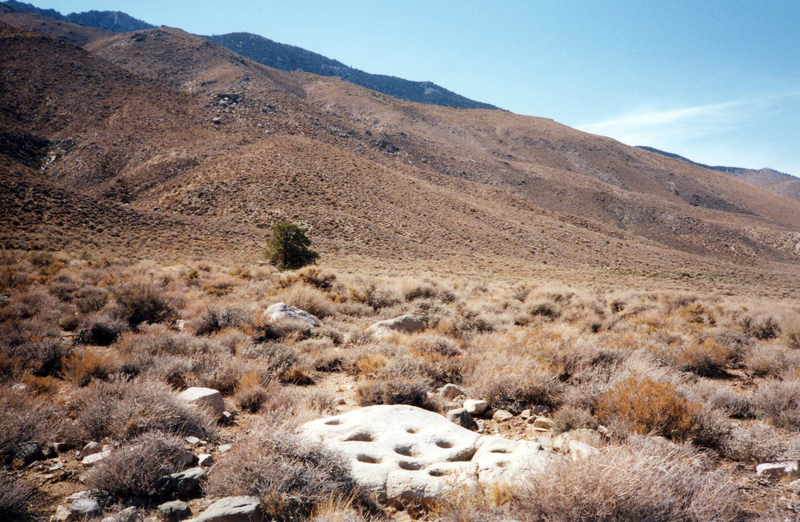 'Inyo' is believed to be a Paiute word meaning, 'dwelling place of the Great Spirit.' 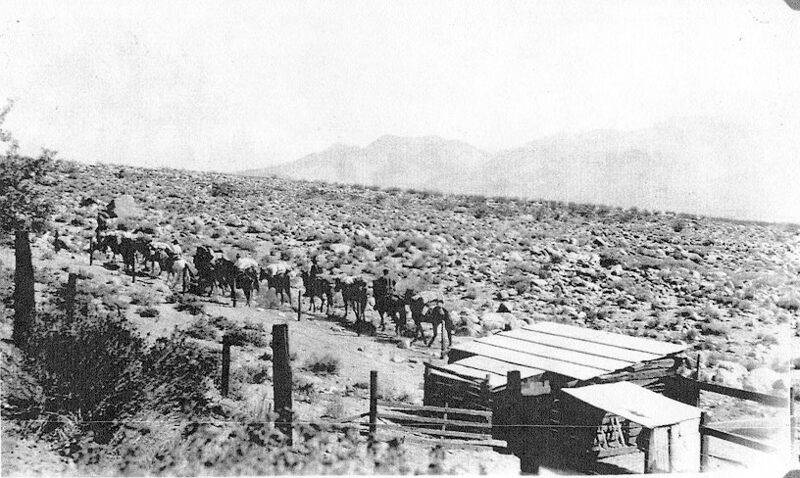 This desert wasn't so dry and arid back then. Thee was a lake and river. 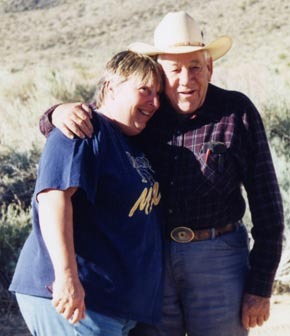 They called Owens Lake 'Pacheta' and the Owens River 'Wakopee.' The valley was lush and alive with all they needed to live a simple life. It abounded in wildlife with plenty of mule deer, bighorn sheep, pronghorn antelope, jack and cottontail rabbits, mountain lions, black and grizzly bears, pocket gophers, and kangaroo rats, as well as ducks, geese, quail, and sage grouse. The lakes and streams were full of bony chubs and cutthroat trout. 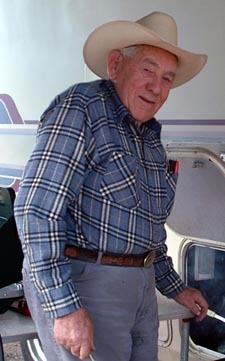 I sat on the floor by the wood stove looking up at him [Sheriff Wright], transfixed by the pictures in my mind as he brought my dreams to life. It was like a motion picture racing through the deep recesses of my brain. He got up and refilled our coffee cups. 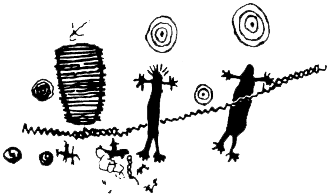 Those native people led a semi-nomadic lifestyle, meaning they traveled to where the food was at the time. 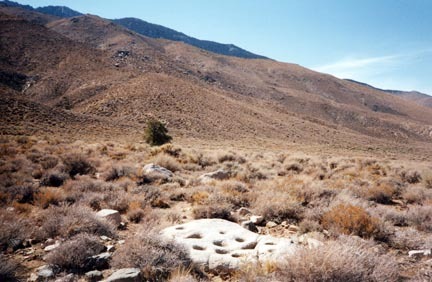 For instance, in the winter they were most likely here on the desert because the snows in the mountains would drive the game down to the desert for food. They built winter house from branches and brush on the valley floor. 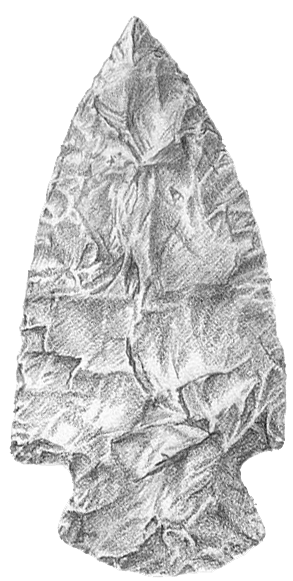 The main diet consisted of stores of food put away in the summer and fall. Early spring was the hardest since winter stores were running low." "It was very hard to stay entertained and escape the extreme boredom of being alone with only the [pack] animals to talk to. Every day it was the same conversations with [my dogs] Laddie and Frosty. 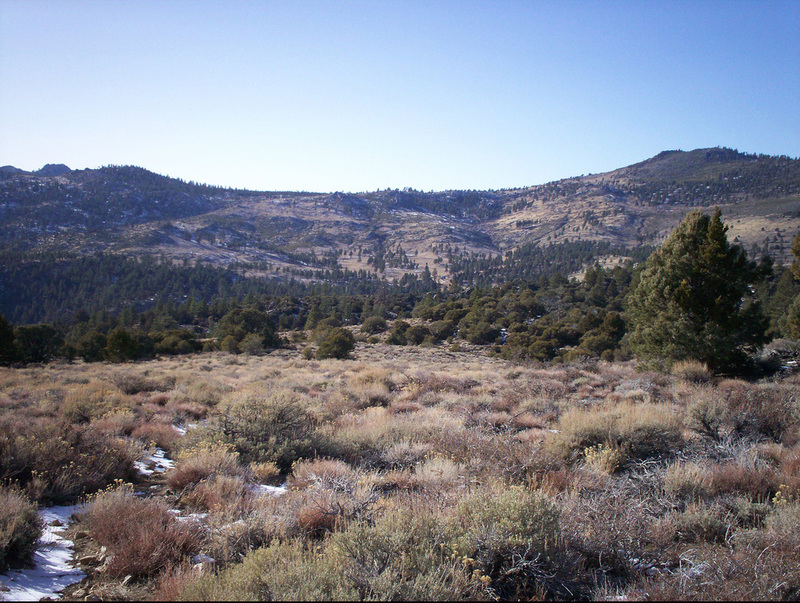 Sometimes the sagebrush shimmered white as if an artist had sketched the bushes there with iridescent paint. A winter cabin and sheds would glisten brightly as the morning sun inched its way up from behind the Coso Mountains across the valley. By afternoon, most color returned to the desert, but not the warmth. Never the warmth. It stayed cold all day long. The sunlight didn't last long enough to warm things. With the high peaks behind the pack station, the sun was gone by 2:30 PM. Breaking the ice on the surface of the water trough was a daily chore. I had a hammer out by the tub that I would use, and sometimes I'd have to do it several times a day. The four walls of the cabin sometimes seemed to close in on me, so I would stay out in the corral as long as I could with the horses until I go too cold. I would grab an armful of wood every time I was outside. That was my main objective day and night ... keeping the wood stove going so the cabin wouldn't cool off. There wee so many small holes in the thin walls where heat was lost that if it cooled down it would take another day to get it warm again. John usually showed up once every other week or so. 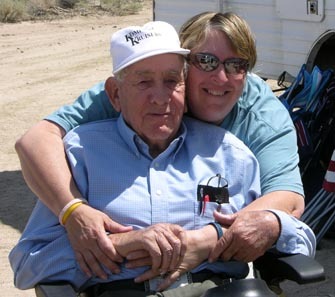 Don Lutz would visit once a week or more. 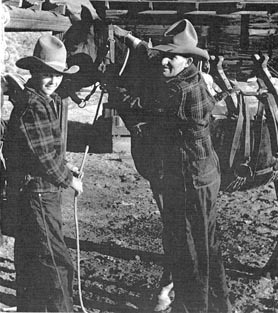 They both always arrived with big bundles of firewood, more food, and more things to read. 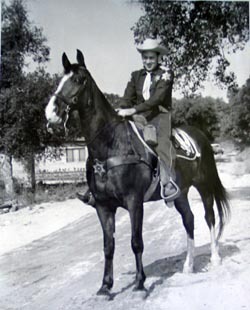 But Sheriff Wright usually came up at least three times a week. It was his visits I looked forward to the most. He was teaching me so much about the history of this valley and his [the Paiute] people. On one of his visits, he brought me several hand-written stories to read. ' These are legends my grandmother handed down to me,' he said. 'I wrote them down so there would be a record. The old people are dying so fast, and if there is no written record, the stories passed down through the ages will be lost. You will learn much from reading about the people here. Some are true and some are just legend. You will have to sort it out for yourself. And I know you will, because you have a mind for them and you carry their wisdom in your heart.'" "While we [Roni and Jim] were staring into the heavens, we became aware of a change creeping over the landscape. We sat in stunned silence as a red glow started to peek over the top of the eastern hills. It got brighter and brighter until the whole desert seemed awash in red. Then we watched the biggest, fullest moon rise up over the mountain to greet us. It was blood red in color. The whole sky and desert was a blood red hue. Jim and I looked at each other in amazement. We didn't know what to say. We just silently watched as it rose, slowly sending its eerie color to the heavens and snuffing out the stars one by one. As it got higher, the palette changed to a lighter red, and the landscape changed with it. Then the color changed to light orange as it got higher still in the sky. By the time it was high above us it had turned bright white. The desert was a brightly lit as we had ever seen it. Everything was as crystal clear as if it were daylight. 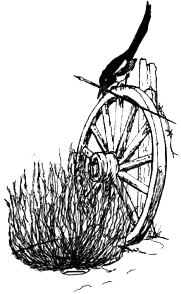 We could see the grinding stone; the horses, many of who were lying down; and the buildings. We could even follow the dirt road all the way to the highway. I think the most beautiful thing I saw that night was the water at the reservoir and the rippling changes of iridescent shades as the moon rose higher. At first a sea of red, then orange, then twinkling white as it shouted its thanks to sister moon for this magical night. We sat thee half the night not wanting to break whatever spell had been cast over our universe. Finally, we climbed down and slipped into the sleeping bags we had laid out away from the cabin. But we couldn't sleep and kept asking each other if we had really seen what we thought we had seen. At last we drifted off to sleep holding each other with visions of that moon etched in our dreams." What Causes a Blood Red Moon? According to folklore, October's full moon is called the "Hunter's Moon" or sometimes the "Blood Moon." It gets its name from hunters who tracked and killed their prey by autumn moonlight, stockpiling food for the winter ahead. You can picture them: silent figures padding through the forest, the moon overhead, pale as a corpse, its cold light betraying the creatures of the wood. 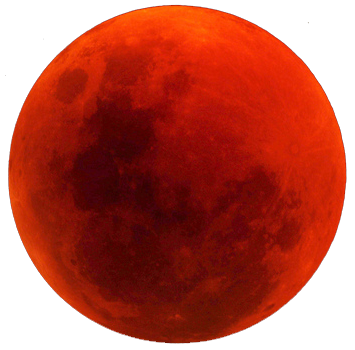 The moon may turn red or coppery colored during the total portion of an eclipse. The red moon is possible because while the moon is in total shadow, some light from the sun passes through Earth's atmosphere and is bent toward the moon. While other colors in the spectrum are blocked and scattered by Earth’s atmosphere, red light tends to make it through easier. The effect is to cast all the planet's sunrises and sunsets on the moon. 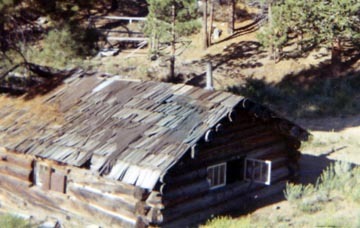 Sam Lewis' cabin at the Sam Lewis Pack Station at the Haiwee Canyon road end. "The Sheriff had been telling me so many tales about the people who once lived here and I felt I knew them personally through my dreams. I hadn't told him about the cave and the tools I found there. I felt it still needed to be my secret. As I climbed the trail towards the opening of the cave, I noticed the trail was steeper and more crumbly than I remembered. My smooth-soled boots felt slippery on the rocks and loose dirt. When I stepped over a large rock where the trail had disappeared, I was surprised by the familiar but unwelcome sound of a rattlesnake. It was pure reflex to jump back and that's just what I did. Unfortunately, when I jumped back, my foot caught on a rock and I went tumbling down the hillside. I don't remember stopping. I must have been knocked out for a bit. I don't know how long before I came to, but when I did, I was still part way up the hill, and had an enormous headache. I also had a badly injured ankle. I couldn't put any weight on it. I couldn't stand on it. I was afraid that if I took my boot off to look at it, I wouldn't get it back on. In the minutes that I sat there, the pain got worse and worse. Then it dawned on me that I didn't want to be on that hillside where, somewhere, there was the rattlesnake that caused this whole fiasco. So, I whistle to Poppin'. His head popped up looking at me. I whistled again and he started trotting towards me. I didn't know if he would actually climb this crumbling trail or not, but he picked his way up as I kept calling to him. He didn't even slow down when some of the rocks slid out behind him. His ear were pricked up and he was focused on my voice as I kept telling him to go easy. he never, ever wavered from his course. Straight up that trail to me. 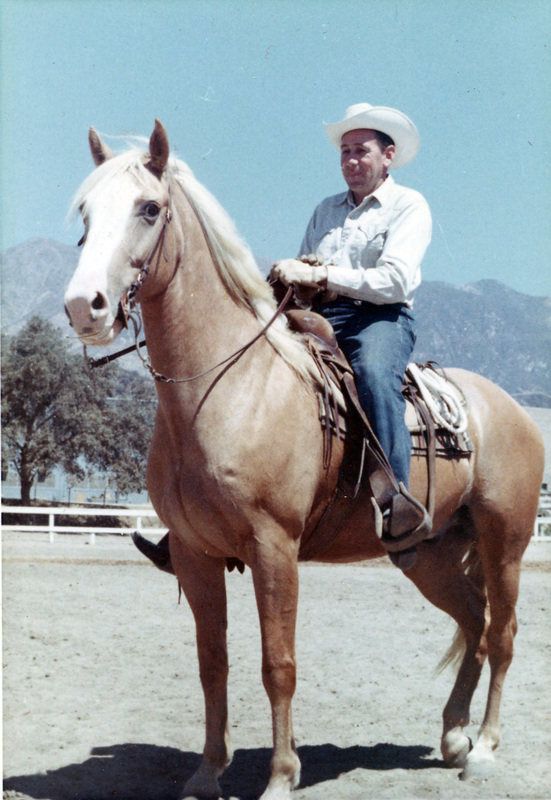 Oh, how I loved that horse! He stopped in front of me and snorted. It was clear that he was miffed at me for interrupting his grassy snack. I think he was starting to sense the late hour as well. He was fidgeting a bit as I tried to reach up for a stirrup. My head and my ankle hurt so badly. He kept moving. 'HELL! Hold still!' I yelled, calling him by his bad name. He stopped and stood still. He knew what that tone of voice meant. 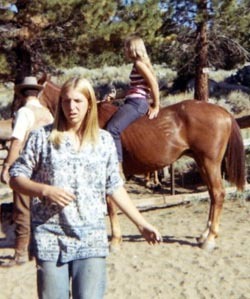 Once he was still I was able to grab onto the stirrup, but I wasn't able to get on him. So I just grabbed the saddle horn. He slowly turned around, dragging me at his side, and picked his way ever so gently back down to the meadow. I let go and flopped down onto the meadow's soft grass. Poppin' stood guard as I slipped away to sleep. My dreams pulled me through the past to ancient times." 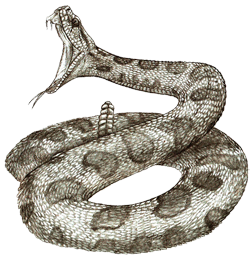 "...I told him [Sheriff Wright] the story of my day looking for the cave, climbing the rock, and slipping when the snake appeared. I told him how Poppin' had come to my rescue and took me down the hill to the pond, and how I fell asleep. I didn't mention the dream. 'Then how'd your ankle get wrapped like that?' he asked. 'Um, I'm not sure. I don't know where that came from. I slept for a long time in the meadow below the cave. But I never took off my boots. I was afraid to,' I told him as he examined my ankle closer. I held up my leg as he examined the leather strap wrapped around it sort of like an ace bandage. 'And you have no idea where this came from?' he asked. I just smiled slightly at him."